Karen N here from Craftily Yours. 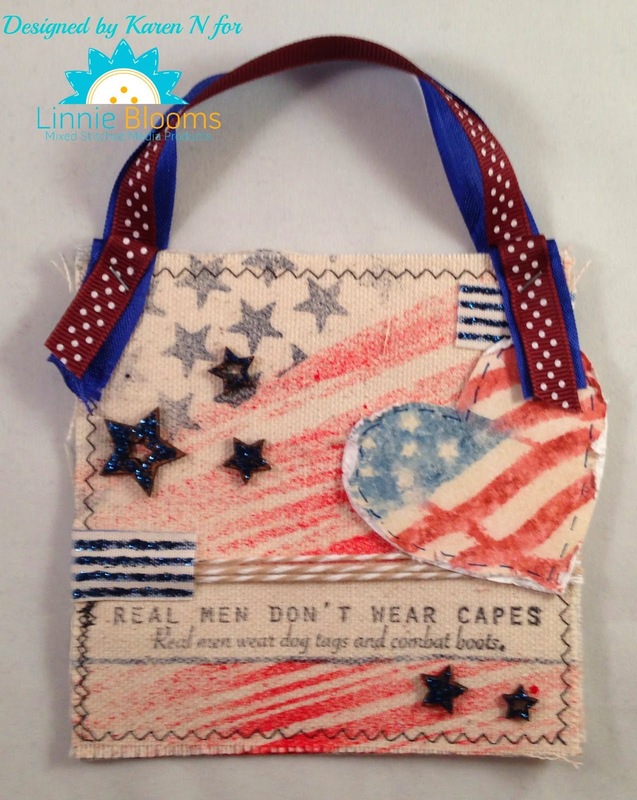 This month, here at Linnie Blooms, the design team was challenged to make a project that is somehow patriotic. 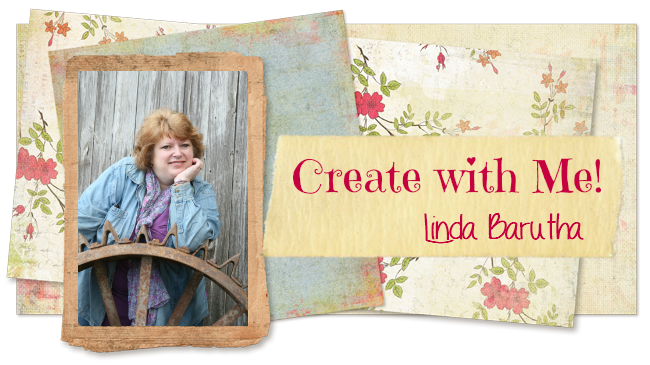 I wanted to try my hand at using a Linnie Blooms 5x5 canvas blank to create a mini wall-hanging. My son is proudly serving in the U.S. Army, so I knew exactly what stamp I wanted to use from Unity Stamp Co. Here's a close-up of the fabulous sentiment I chose. I love that. After I stamped the sentiment, I used Mr. Hueys (Overdue) and Adirondack Color Wash (Denim) through a couple Tim Holtz layering stencils to create a background. (I covered the sentiment with a strip of paper to make sure I didn't spray over it.) I stamped a heart from Unity after coloring it with Tim Holtz Distress Markers and spritzing it with water to create the heart below. Finally, I added some fabric tape, UmWow Studio star confetti and oodles of Stickles. With some ribbon as a hanger, here's what the final project looks like. The final touch was to add some faux stitching and an underline under the sentiment. (Thanks to my DT sister, Donna K, for that fabulous idea!